The photographic community is rife with talented and creative practitioners and artists. But making great photographs does not always translate into an ability to teach effectively. 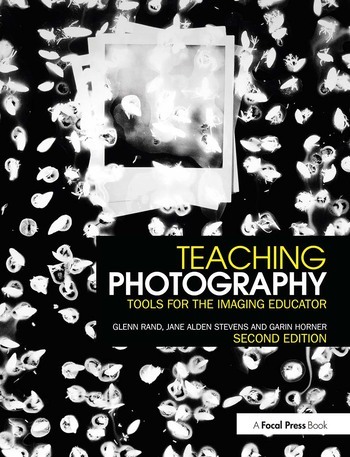 This new edition of Teaching Photography approaches photographic education from a point of view that stresses the how and why of the education. It includes the resources that will inspire new and seasoned teachers to help students expand their technical and aesthetic abilities and techniques, as well as their visual literacy and the way photography fits into the wider world. Fully updated to include the online/hybrid classroom environment, collaborative learning, rubrics, and using digital technology, plus techniques for inspiring conversations and critiques. Glenn Rand is a photographic educator and photographer. He has taught and administered in public education, community colleges and universities since 1966. For the past three years he has been associated with Adrian College. He has authored eleven books including Teaching Photography (2006), The Portrait (2009), Capture: Digital Photography Essentials (2011), and contributes regularly to various periodicals. Jane Alden Stevens is a Professor Emeritus at the University of Cincinnati. An active artist, Stevens has exhibited and published her work extensively both in the US and abroad. Stevens has conducted pedagogy workshops for a variety of universities and has presented at a wide range of educational conferences. Garin Horner is an Assistant Professor of Art in both Photography and Graphic Design at Adrian College, in Adrian, Michigan. He regularly lectures on Innovative Teaching at both the Regional Society for Photographic Education and National Society for Photographic Education conferences. Currently Horner serves as a Teacher Trainer for innovative teaching at the Adrian College Center for Effective Teaching (ACCET).